SNC takes 1st place at SHRM HR Games! 400 points after the first set of questions, but with some excellent knowledge and smart board management, Emily, Cathryn, and Julia prevailed to take the crown. We would like to implement a brand-new wellness program for approximately 15 employees. I have been conducting some research and would like to gather feedback from local professionals that have experienced the implementation and utilization of certain wellness programs/platforms/software/applications/etc. prior to making our decision for implementation. Feedback such as pros and cons, user friendliness, and overall impact on the organization you work for would be especially helpful. Any feedback you are able to provide would be greatly appreciated! My e-mail is wendy@harmann.com. I'm thinking of changing our years of service recognition program and I'd like to benchmark what others are doing. Under the general direction of the Director Total Rewards, the Manager Payroll oversees payroll administration. The Manager Payroll is responsible for monitoring all tasks necessary to accomplish Shopko’s payroll processing objectives, including relationships with external auditors and state & federal agencies. Proficient with Human Resources Information Systems (HRIS) and timekeeping systems. Maintain payroll guidelines by writing and updating policies and procedures. Maintain payroll information by designing systems, directing the collection, calculation, and entering of data. Comply with federal, state, and local legal requirements by studying existing and new legislation; enforcing adherence to requirements; advising management on needed actions. Determine payroll liabilities by approving the calculation of teammate federal and state income and social security taxes, and employer’s social security, unemployment, and workers compensation payments. Balance the payroll accounts by resolving payroll discrepancies. Pay teammates by managing payroll processing. Ensure the computing, withholding, and calculating of deductions associated with net pay is done properly, including federal and state withholding and unemployment insurances, as well as direct deposit information. Ensure calculations of gross to net payments of expenses related to relocation. Maintain teammate confidence and protect payroll operations by keeping information confidential. Maintain professional and technical knowledge by reviewing professional publications; establishing personal networks; participating in professional societies; and attending education workshops. Works with the Director Total Rewards to coordinate internal and external resources as necessary to assist with day-to-day Payroll operations and special projects. Manage processing of payroll data from a team of Payroll Specialists. Manage payroll team from both an administrative and technical perspective. Train, monitor, and assist payroll specialists to ensure timely and accurate payroll processing. Ensure payroll specialists adhere to applicable department and Shopko guidelines and policies. Create and maintain tools to analyze and audit payroll data and processes. We provide general merchandise, Pharmacy, and Optical services in our store formats of Shopko, Shopko Hometown, and Shopko Express. At Shopko, we understand what matters to our customers. Our stores are designed to be simple, clean, and welcoming, not overwhelming. We offer the essentials our customers need and the brands they trust at a fair price. Shopko, the Stuff that counts. Shopko offers a professional team-oriented work environment, career advancement opportunities, competitive wages, and a comprehensive benefits package! The Society for Human Resource Management (SHRM) recently awarded Green Bay Area Chapter SHRM its prestigious EXCEL Platinum Award for the Chapter’s accomplishments in 2017. The EXCEL Award can be earned at four levels: bronze, silver, gold and platinum. Each level has a prescribed set of requirements and accomplishments that must be met. 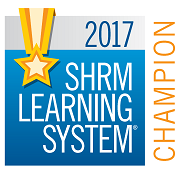 Green Bay Area Chapter SHRM will receive recognition in SHRM publications and at conferences, a logo to display on its website, and information to share with its members about the significance of this award. WMC and Ogletree Deakins are accepting nominations for the 2nd annual HR Professional of the Year Awards. Winners will be announced at the WMC Policy Day 2018 in Madison on August 6th. 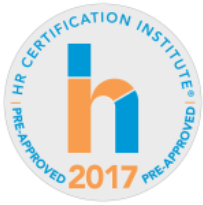 Learn more about the HR Award and make a nomination.